5 rolls of 500 high quality polythene pallet top covers (hence 2500 covers in total). The dimensions of the covers are 1400mm x 1400mm hence suitable for most standard, Euro and Chep pallets. The thickness of the covers is 30mu. 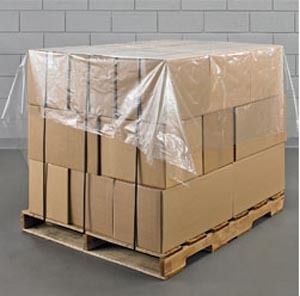 A great solution for covering goods on pallets to prevent water damage and dust.